I recently learned about a subscription type box called Stitch Fix and I was immediately drawn in by its name. I totally thought it was a sewing type thing, but it's even better than that. 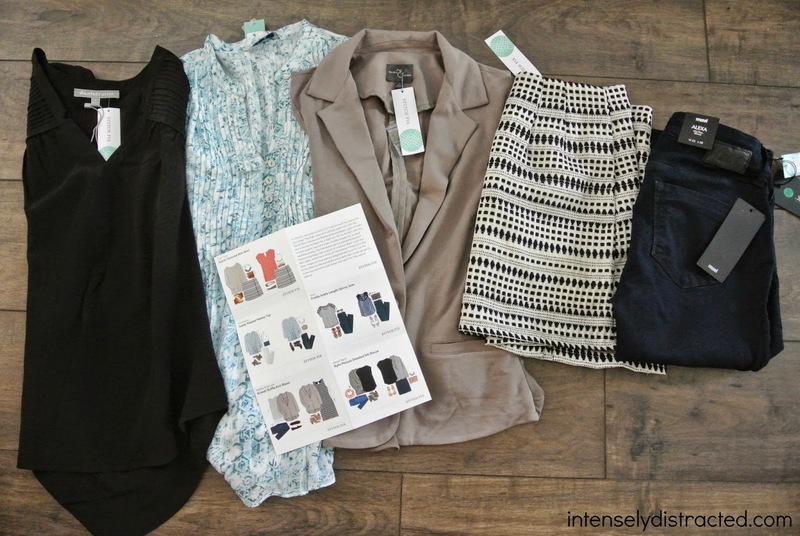 It's basically a personal stylist in the form of a subscription box. Genius! I went to work and researched everything I could about it. I found many reviews, tips, and tricks and learned that they even started carrying petite sizes (which was so great to hear as a petite girl myself). 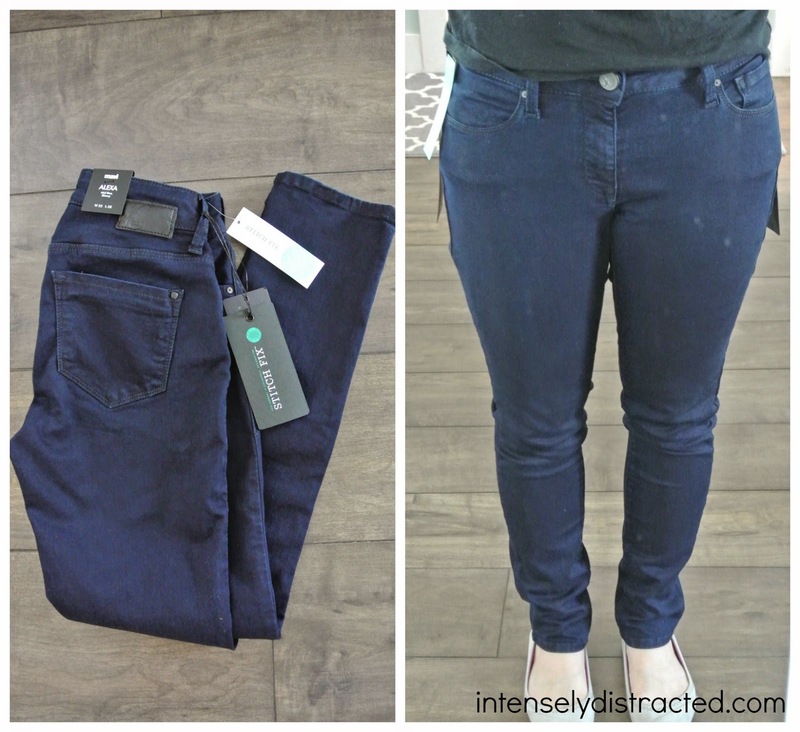 Many people had very positive reviews about Stitch Fix so I decided to give it a go. Since the cost is only $20 (called a "styling fee") and you can use that toward anything in the box, there was really nothing I could lose from trying it out. Even if you're unsure you want to try it out, I would highly recommend you fill out the Style Profile to get an idea of your style. The Style Profile is a pretty detailed survey that collects info on your measurements as well as preferences so it definitely gets you thinking. 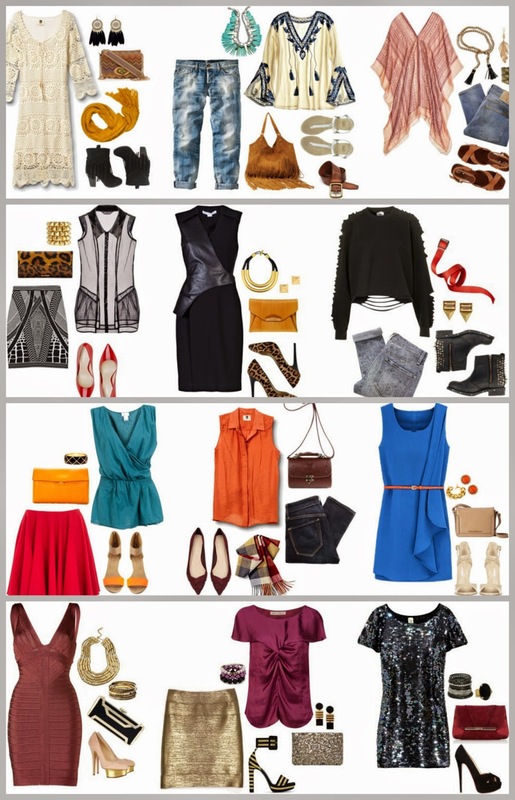 You also get to select price ranges for each of the different categories: accessories, bottoms, dresses, jewelry, outer layers, and tops. Prices range from: the cheaper the better, $50-$100, $100-$150, $150-$200, and $200 and up. The attention to detail of the Style Profile was another reason that convinced me to try it out. They asked a ton of questions that I felt is very useful to find exactly what I'm looking for. One thing that I found really nice about Stitch Fix is the ability to change the frequency of Fixes. You can choose to have a box shipped to you whenever you schedule one or you can have boxes shipped automatically. You can choose the frequency of automatic Fixes to be: every 2-3 weeks, every month, every other month, or every 3 months. It's nice to have those options unlike other subscriptions that only have every month as an option unless you opt-out ahead of time. 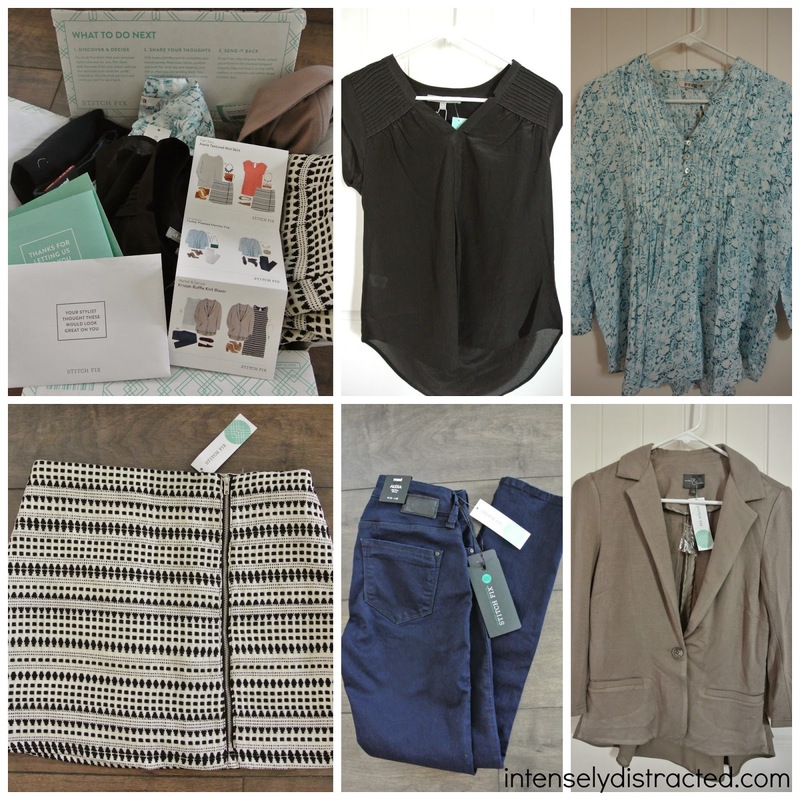 My first Stitch Fix unboxed! 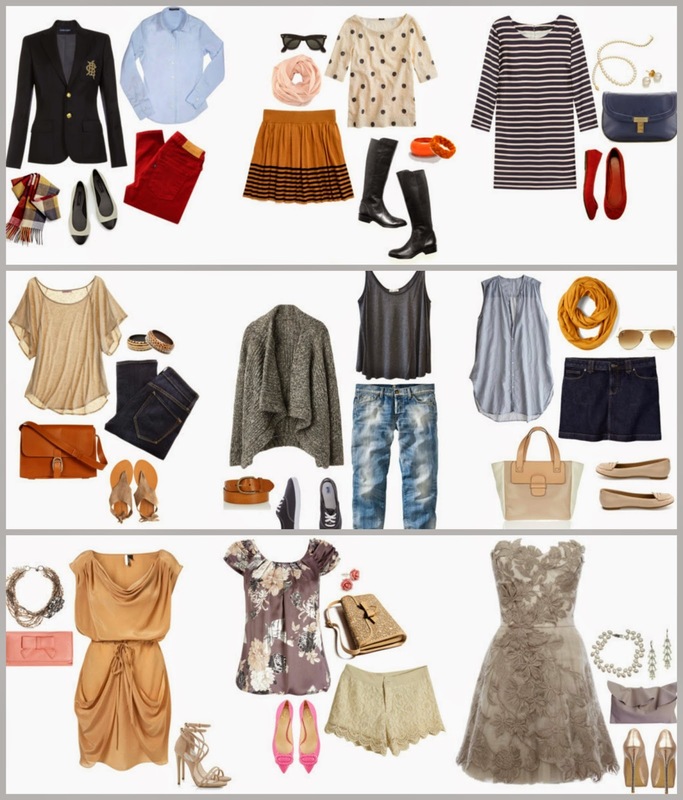 I have been in desperate need of a wardrobe makeover for many years now. I'm always attempting to update my style but I never find things I love so I end up with things that are okay and then I hate them very soon after. It's never easy to find things that I like that also fit, so I have really grown to hate shopping. And of course, it's always difficult finding time to go shopping without the kids and then with the kids is never very relaxing. 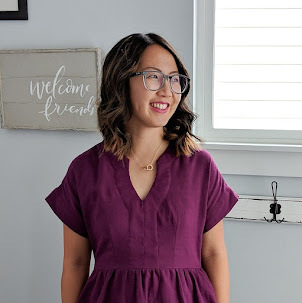 Stitch Fix seemed like the perfect option for me because I could build up my wardrobe piece by piece in my own time. It also gives me plenty of time to decide what to keep and what to send back which definitely helps with all those spontaneous purchases I've come to regret. My first Stitch Fix arrived exactly when I originally scheduled it. I didn't allow myself to sneak a peek beforehand so that it would be a complete surprise. (If you want to take a peek, you can always do so once your Fix ships. Just click the "checkout" button to see the names of everything.) Even though I was super excited, I can be extremely picky and budget-conscious so I was also just hoping that I would find at least 1 thing to keep so my $20 stylist fee didn't go to waste. I was pretty amazed when I opened my Fix to find lots of things that I liked. 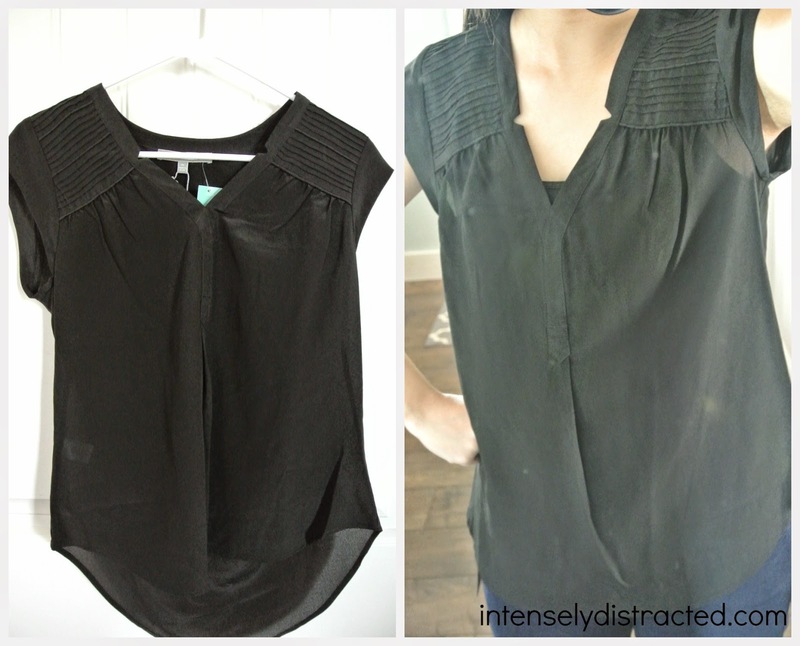 This black top is right up my alley. I love the pintucking, neckline details, and sleeves. My stylist, Sabrina, was able to fulfill my petite size request with this petite small. I love the fit of this so much and the little details definitely make this something I could wear every day or dress up for fancier occasions. I'm already envisioning all the things I can pair this with. This pick was a little baffling to me. 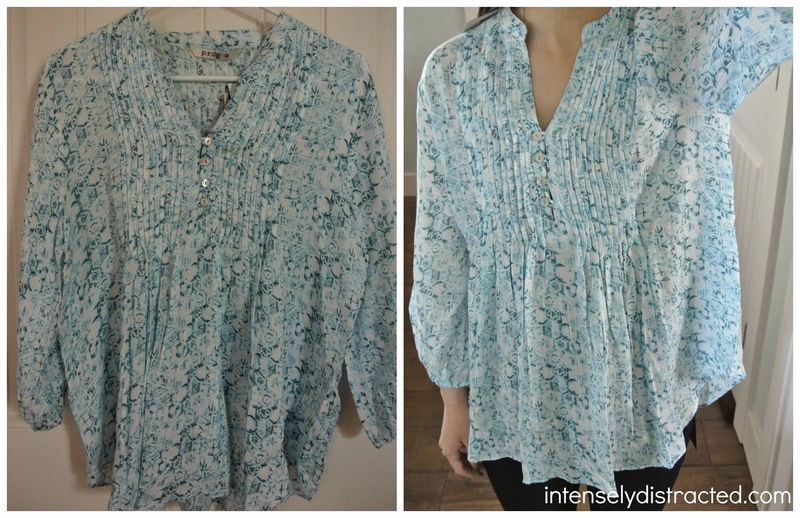 I don't mind the colors, but I am not a peasant blouse kind of person. The print is okay, but it's not something I would ever pick for myself. I tried it on anyway just to give it a fair chance and so I could give an accurate review at Checkout later. It actually doesn't look too bad in the picture above and it actually works with skinny jeans, but I found it to be way too big. All that extra fabric definitely gave me maternity apparel vibes so this is definitely going back. I pulled this out and liked that it was a knit blazer (since that is something I've been pinning lately), but it wasn't until I saw the back that I was really excited to try it on. I literally squealed when I realized it had a ruffle back. It's a nice touch that I appreciated. This is definitely a comfy blazer. 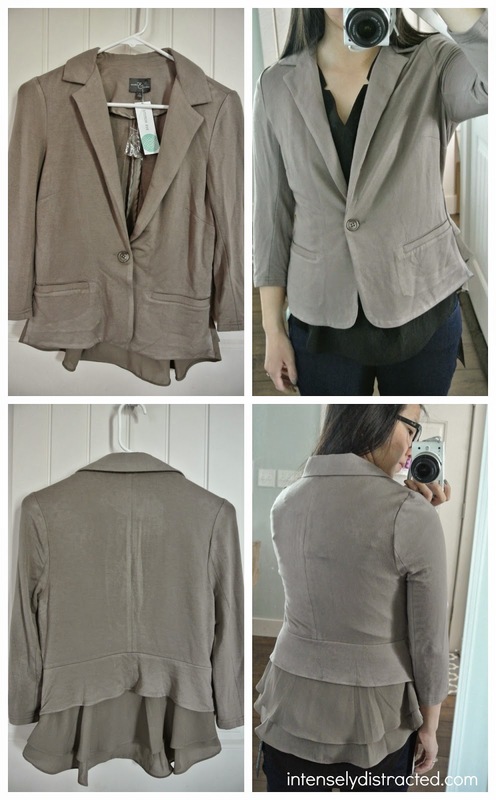 It isn't very structured so it is less formal than your typical blazer and I love the back. I could definitely wear this with both casual and dressier attire. This skirt was an item that I wasn't sure of at first. I liked the textured pattern, but I could not see myself wearing this with anything. When I realized the zipper was in the front, I was even more perplexed. My stylist suggested pairing this with the black silk blouse and ruffle blazer or with one of my many graphic tee's which I could definitely see working. Alas, this one is not flattering on me. It's slightly too big and the zipper snags on the textured fabric way too easily. I'm sending this back, but definitely noting that it would've worked if it was a bit more fitted. I've heard that Stitch Fix has some amazing jeans. These ones looked slightly too small coming out of the box, but their stretchiness definitely made up for it. I pulled these on and I was instantly in love. I love the color, the fit, and the fact that it isn't super long on me. They're so comfortable and would work with so much of what I already own. I'm not a fan of extra bling so the low-key back pockets and stitching is ideal for me. All in all, my first Stitch Fix was a huge success. I realize that I can't like everything in every box which works out since I can't afford to buy everything every time. It's also so nice to be able to try out these pieces that I would have never found on my own. For this box, 3 out of 5 are definite contenders. I'm still unsure what I'm going to keep (gotta stay within my budget! ), but I'll keep you posted when I finally decide. UPDATE: I decided to keep the blazer, but I'm still regretting letting the silk blouse and skinny jeans go back. I hope I can see something like those again in the future. This looks pretty cool. I think I might give it a try.